For many in our team at EuropeanPublicAffairs.eu (EPA), 2015 has flown by, and likely has for many of our readers as well. Yet the time for annual reflection is upon us, and looking back at 2015 there have been some major landmarks for EPA, all of which were driven by our readers, who inspire us daily to better deliver research based analytical article. Our team has always been driven by the allure of knowledge sharing. Everyone voluntarily commits their time to EPA, and EPA is able to run without advertisements due to the commitment of the site founders. We believe that knowledge is not a coveted luxury, but an intrinsic part of citizens, no matter their location, feeling connected to as well as understanding what is occurring in the European Union sphere. Our team is committed to sharing knowledge with you, our readers, and it is your interest that keeps us writing, and sharing our knowledge. It is our readers that have enabled our success in 2015, for which we are extremely grateful. This autumn our team had its first recruitment of new writers, adding to our pool of enthusiastic contributors in an effort to provide you with more analysis from diverse and rich intellectual backgrounds. This spring our expanded team will strive to produce more thought-provoking content for you, and we encourage readers to engage with these pieces via social media or otherwise, to further our knowledge sharing efforts. We continue to be on the lookout for potential writers, so if you or a friend would be interested in contributing during 2016, please go to our standing call for contributors. On social media, 2015 saw EPA reach over 2000 likes on Facebook, and 4000 followers on Twitter. If you are not already following EPA on facebook, twitter or linkedin, we encourage you to do so, in order to ensure that you are kept up to date with articles, and discussions. Our team is all about serving our readers, and as such, in 2015 we launched our weekly newsletter summarizing all the important developments in EU affairs, as well as the latest articles, and a forward-looking calendar on key debate that will occur EU wide that week. Delivered to your inbox on Mondays, this newsletter will help you prepare for the week ahead, and sign up is free, located on the right hand side of every EPA website page. Ultimately the end of 2015 and beginning of 2016 is a time in which we must thank each and every one of our readers, as without your support, EuropeanPublicAffairs.eu would not be what it is today. Our team has high hopes for the New Year, and we hope that you will continue to show your support by reading, liking, discussing as well as sharing our articles in 2016. As our team winds down for a much-needed short break to celebrate the holidays, we would like to wish each and every one of you a wonderful holiday season. 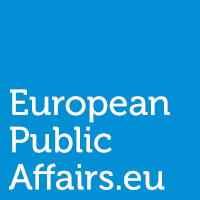 We hope to have you back on EuropeanPublicAffairs.eu from the 4th of January on, to read new articles and continue our knowledge sharing efforts into the New Year. All the very best wishes for the New Year.